What will Yahoo do next? 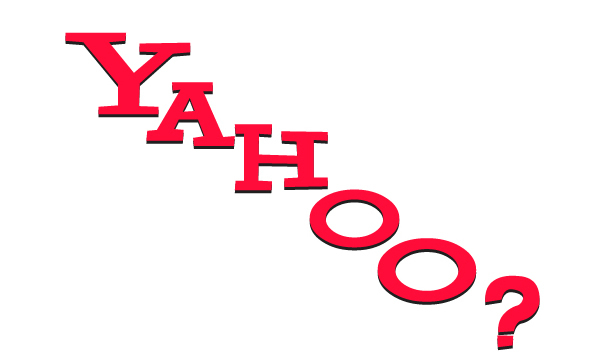 Rumors regarding Yahoo’s unstable footing have plagued the company for some time now. With the “leadership reorganization” (read: The canning of Carol Bartz) now behind it, Yahoo has found itself on some very precarious ground. Its next move in the industry arena will be heavily scrutinized, which is why the company is likely weighing its options very, very carefully. First and foremost, Yahoo needs a new CEO. Bartz has long been labeled the reason for Yahoo’s failures, and investors have reportedly lobbied for her replacement for awhile. For the time being, Yahoo CFO Tim Morse is taking over the position, but a permanent CEO has yet to be named. The name being most emphatically tossed into the ring is Jason Kilar. Kilar is the current CEO of Hulu, a company Yahoo’s been in the running to acquire. There are a lot of reasons an executive like Kilar would be a good fit for the company, chief among them being that fact that he would help with Yahoo’s identity crisis. Bartz was once infamously unable to define what that company did, what its purpose was, something Kilar would do. He could define Yahoo as a media company, an industry he obviously understands. Given that Yahoo’s stock rose significantly with the announcement of Bartz’s departure, naming a new CEO is going to be a crucial move. Given that Hulu is for sale, Kilar will need a job soon anyway. Yahoo should buy Hulu. The video streaming service has been a hot commodity ever since it announced it was for sale, and Yahoo has been an interested party. Unfortunately, there are more than a couple of hurdles standing between such an acquisition: Others (Google, Apple) can offer more money, and Hulu has ties with Amazon. It won’t be easy, but it’s time for Yahoo to go big or go home. The company obviously needs to make big changes, and “leadership reorganization” isn’t the only one. Bringing on Kilar and identifying itself as a media company would be a good step, but bagging Hulu would put the site on much more stable ground. And the best argument Yahoo has in its corner is its Asian assets. Yahoo might be something of a joke to some circles here, but overseas it remains an Internet titan. Yahoo Japan is dominates search in the country, and traffic has been good. There’s also been mention of Yahoo selling its Asian stakes to secure some money, which is could possibly put toward a Hulu bid. Whether it uses this overseas audience as leverage or cash for to bag the streaming service is in Yahoo’s best interest. The tale of a Yahoo-AOL merger is older than time and can’t be killed. Years ago speculation about a deal between the two surfaced, and their respective market slumps have only bolstered the idea. The timing also alludes to the possibility: AOL just met with a top M&A team and is rumored to be considering a sale or major merger. Both companies have gone through similar growing pains, and now that AOL is largely defined by major Web publications like TechCrunch and The Huffington Post, it could be one more step toward a unified Yahoo presence centered around media production. There are obviously more than a few avenues Yahoo can consider, but the longer it continues to simply keep its head above water, the more it narrows its future possibilities. Given its state of struggle, Yahoo needs to make big changes–or suffer the consequences.